The 4 pCi/L level is the action level in which the EPA recommends limiting your exposure and / or mitigation. The only way to find out the radon level in your home is to have it tested. A passive test is placed in the lowest habitable level of the home for a minimum of 48 hours. The test is then shipped to a ELAP certified labortory for analization. Typically, within two to three days we receive the test results. If the test result show high concentrations of radon, you have several options. The most common action is sealing the cracks in the foundation and floors and / or a radon mitigation system. A professional should be utilized to ensure that the radon is effectively sealed from entering your home. Typical radon mitigation systems can cost between $800 and $2500, according to the EPA. When you're buying or selling a home, radon can be a significant issue. A radon test is realitively a small price to pay for you and your families safety and peace of mind. 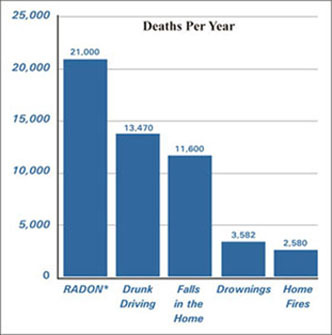 Proper testing and mitigation, can eliminate radon as a health threat. 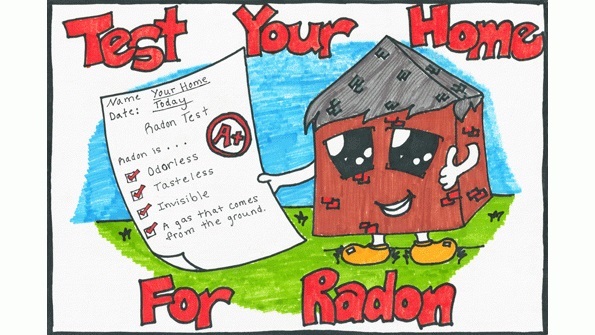 Visit the "Helpful Links:" below for additional information on radon gas.